Otherwise known as the biggest 8K in the world. Literally. And let me just get this out there: I don't think I will be running it again. Ever. It was that bad. For me, anyways. But maybe I'm just a small race kinda gal. Lemme explain. Unfortunately, I got stuck at the back of the bus in Corral H. I had hoped for Corral D, E or F—but obviously that didn't work out for me. Mom and Sis moved back to run with me, as I couldn't move forward to join them. So there we stood, locked in Corral H at 8:45AM in anticipation of a 9:00AM start time. We were grateful that it started on time, but we didn't pound pavement until about 9:50AM. Yes...9:50AM. There were SO MANY people. So we stood. And we stood. And we stood some more as temperatures increased. Don't get me wrong, we appreciated the warm weather, but our muscles weren't warm anymore. And our backs were starting to hurt. Our fingers turned green, too. Just kidding! 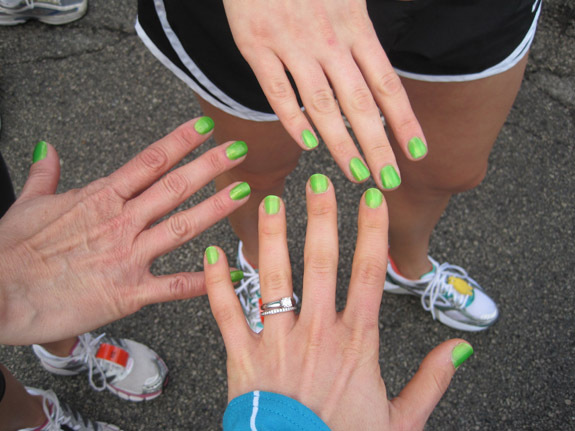 We painted them green in the spirit of all things Shamrock. Probably the only sign of our spirit by the time we actually started to run because we were already exhausted and somewhat dehydrated. Definitely hungry, and definitely not a single bit ready to run. But we sucked it up and ran. The course itself was great. It doesn't get any better than running around the streets of Chicago. But the walkers...oh, those walkers. We were constantly dodging them. I may have thrown an elbow or two. By accident, of course. Except for maybe that one time. I can't say for sure. Needless to say, the entire thing was a bit frustrating. And not, in any way whatsoever, one of those races at which you achieve a personal best. At least in my opinion. So the goal I set for myself, the one that had me running it in under 40 minutes—it didn't happen. When I crossed the starting line, right then and there I vowed to enjoy my run as best I could. It was no longer about time or distance, it was simply about running. Running because I love it, because I enjoy it. It was about breathing deeply and relaxing into each and every step I took. In that respect, the race was a success. For the most part, at least. Mom and I finished in 52:25. Aly was one step ahead at 52:00. I can't speak for them, but it wasn't good in terms of my running game. But it was good in terms of my recreational running habits. When you run because you love it, once again, time and distance don't matter. It's all about getting from the starting line to the finish line and enjoying every second of every mile between the two. 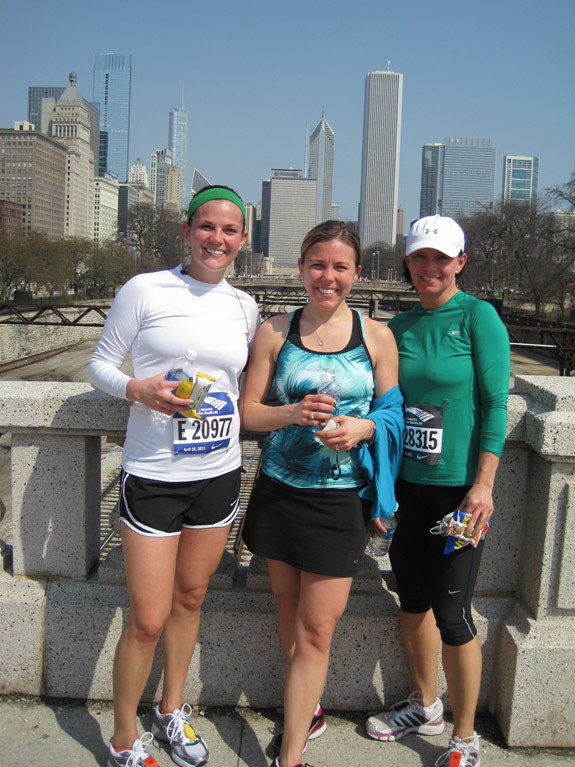 And when you can share those miles with your mom and sister, well...that makes it even better. Question: Did you Shuffle this weekend? What did you think of it? Ever run a race only to vow that you'd never run it again? What happened?